“Here be Dragons” means dangerous or unexplored territories, in imitation of the medieval practice of placing dragons in uncharted areas of maps. With respect to considering an investment in Deutsche Banks’s (DB) equity, I would argue we are instead dealing with “known unknowns”, as Rummy would put it. Much of the risk and potential upside going forward hinge on non-financial risks, legal being #1. DB has now paid $9bln in fines, 1/2 their current market cap of $18.2bln, for various settlements post GFC. No opinion to provide on the validity of any given case from a merit or $ perspective, but clearly through a process of elimination, DB is closer to the end of the financial spartan race. 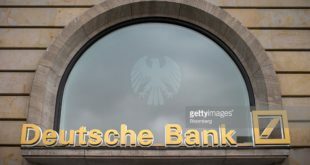 The ability of John Cryan, chief executive of DB, to reduce the dominance of litigation charges from results going forward will dictate the very survival of the bank that led the financing of Germany’s economic miracle post WWII. 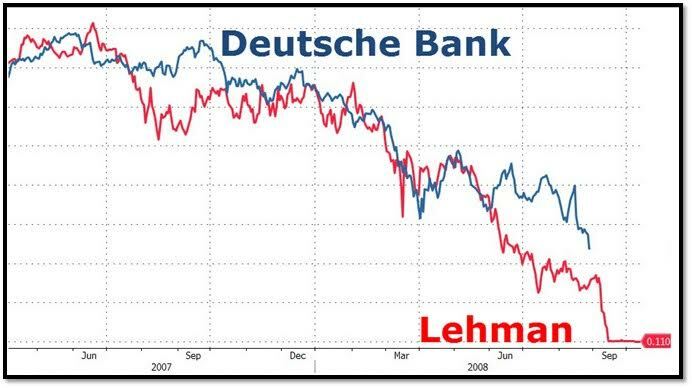 Those drawing parallels to Lehman are data mining in my view, DB is too important to the German, European and Global banking/financial system to be euthanized. €31bln of Level 3 assets remain on balance sheet, but this is down 65% from the peak of €88bln in 08′. 2015 was the kitchen sink year for Deutsche Bank. Litigation costs and re-structuring charges led to a €6.8bln reported loss. GM was once appropriately described as a health-care company that also made cars. DB is a law firm that dabbles in the capital markets and asset valuation. Modest earning are expected for full 2016 ($1.11 per share), but the first “clean” year expected by chief executive John Cryan is in 2018. Fixed Income Currencies & Commodities (FICC) has become a dirty 4 letter acronym for many players in the capital markets in an environment of ZIRP, since trumped by NIRP. The transition from Anshu’s Army (once responsible for 85% of DB “earnings”) to Cryan’s Janitors has clearly hampered returns. DB was a top 3 players over the 2008-2014 period, earning approx. 20% “share of wallet” in FICC. This share has slipped to 17% and is not trending well, with share ceded to venerable competitors like JP Morgan (JPM is now trading at 1x book versus 0.25x for DB). Approximately 1/3 of the slippage has been expected as DB exited high risk weighted asset (RWA) businesses they no longer have an edge in. Risk reduction efforts include improving the leverage ratio (CET1/total adjusted assets) to 4.5% by the end of 2018 and 5% by 2020. DB has run with leverage as low as 2% previously and the leverage ratio currently stands at 3.4%. Daily VaR (99% confidence interval), has dropped 57% since 2007, from €86mm to €37mm. Liquidity reserves (HQLA- cash and highly liquid government, agency and government guaranteed bonds and other Central Bank clearable securities) as at Q2 2016 stand at €223bln, up 243% from 2007’s €65bln. As a result DB’s liquidity coverage ratio (LCR) stands at 124%, well ahead of the 100% required by Jan. 1, 2019 under B3. 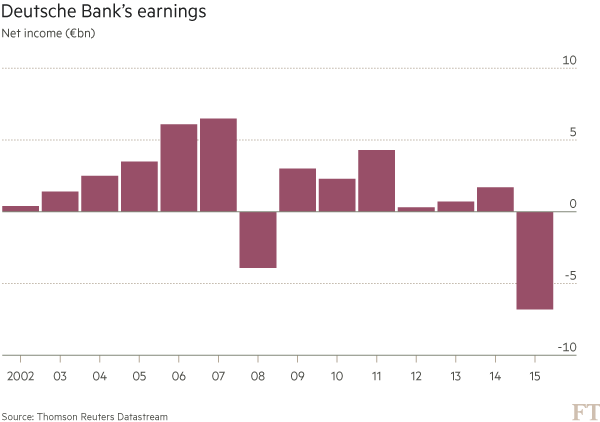 Price to book and price to tangible book have become somewhat interchangeable terms in analyzing bank stocks post GFC. Few have sizeable goodwill yet to be written down. To temper expectations, DB would likely be over the moon if they could get back to 0.6x P/TNAV by the end of 2017 which would put the stock back in the high 20’s, roughly a double from the US$14 it stands at now (NYSE listing). This would put DB in line with where Citi trades, on a metric of price to tangible book. The list of global banks that trade > 1.0x book is dominated by the Canadian and Australians (i.e. RY at 1.9x and WBK at 1.7). Wells Fargo & Company is the rare American that trades at a premium, 1.4x book at present. The “to do” list for DB by the end of 2018 is long, but achievable; a 10% return on tangible equity, a leverage ratio of 4.5%, a 12.5% CET1/RWA (10.7% at present), efficiency ratio of 65% (perhaps the most challenging metric to achieve, low 70’s arguably more achievable interim step), and achieving €3.5bln per annum in cost savings by cutting 30,000 staff and the exiting 10 non-core markets. In their home market of Germany, plans include selling their remaining stake in Deutsche PostBank AG and closing >25% of their 700+ retail branches. DB is currently rated Baa2 with Moody’s (Senior Unsecured Debt), BBB+ with S&P, and A- by Fitch. The most recent 5 year CDS level for DB was 216bp (JPM in comp. is 60bp). The largest dragon investors worry about with respect to DB is their sizeable otc derivatives book. The focus on headline notional exposure of €46 trillion materially overstates the true economic risk. Looking at the €46 tln notional amount of contracts across fx (27% of net exposure), rates (54% of net exposure), and index/equity (12%) can be daunting, but as with other areas noted, steps are being taken to reduce the size and improve the liquidity of their derivative books. DB intends to exit the CDS business for one and has novated over 2/3rds of their book to other cptys since 2015 (JP Morgan the biggest CDS player by wide measure). The previously noted number for level 3 assets include level 3 derivative related assets (DRA). As with the rest of the market, the vast majority of DB’s derivative contracts are centrally cleared. Those contracts not centrally cleared (i.e. bi-lateral contracts) are typically collateralized above rating based mark-to-market threshold amounts. A Credit Support Annex (CSA) is the legal document which regulates credit support (collateral) for derivative transactions. A CSA is one of the four parts that make up an ISDA Master Agreement, but it is not mandatory. Some classes of cpty are legally restricted from posting collateral and even impose 1-way CSA against their Bank cptys, although such instances are much more rare than pre-GFC. Banks are keen to renegotiate such legacy ISDA/CSA’s given the spike in the cost of funding their DRAs. 85% of DB’s net derivatives exposure of €41bln (after consideration of master netting arrangements and the €72 bln in aggregate collateral pledged to them, split €58bln in cash and €14bln in liquid securities) is with investment grade counterparties. Further, DB have disclosed that they actively manage their net derivatives trading exposure to further reduce the economic risk. This practice is common across the street where the credit valuation adjustment (CVA) desks are often one of the most active credit customers, given the immense scale of their books and their diversity as to cpty. 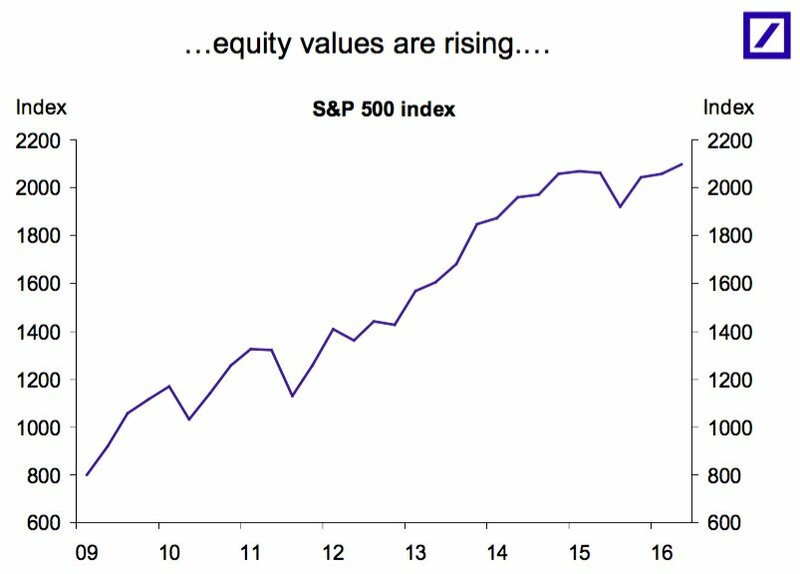 It appears a floor is in on DB equity. Near term, a lessening of the legal risk is the biggest factor in building capital to 12.5% from 10.7%. While a return to former glory is not likely in the cards, the combined view of Deutsche Bank is too pessimistic at present, in my view. DB is down 42% year-to-date in 2016 and 91% below their all time high of $159.59. The short interest in the stock is 1.68% of the float. Disclosure: Studying investable European banks. Long RBS pref shares and Lloyd Bank common shares. No current position in Deutsche Bank. 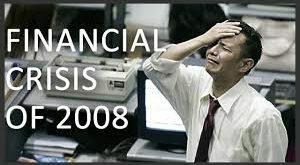 The U.S. Financial Crisis 2007-2008, The Global Financial Crisis (GFC for short) and the Great Recession 2008-2012 all seem to have become interchangable terms. I recently came across some journal notes I made at the peak of the crazy in 2008. The reason for the note timing was my thought was that we were going through an unprecedented time in financial history that would have clearly have a deleterious effect on the world at large. I had just read some diary excerpts from my great-great-grandmother Henrietta’s diary, written circa 1905-1908, which got me thinking I should get pen to paper in case this page of history was of interest in another 100 years. We all had little idea that we were in the relative early innings. The S&P which was at 1217 coming into September 2008 would eventually fall another 45%. 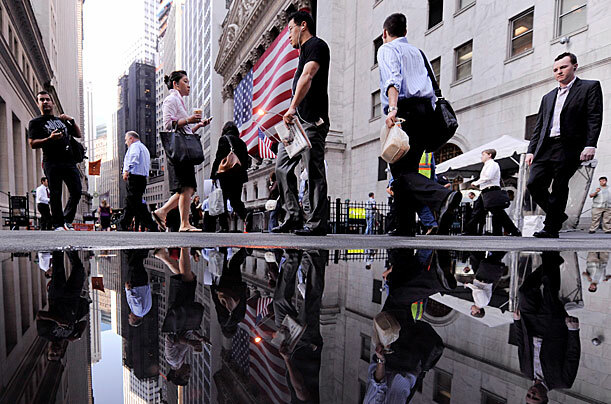 “Quite a gap in my notes due to a new level of fear in the global markets. A truly scary time for all. No country or company is being spared here. Very glad to have my health, and to be young (relatively). The current relative lack of volatility in the financial markets, masked in large part to the continuing largesse of global central bankers, makes the perilous 2008-2009 lows seem further back in history than the scant 7+ years it has been. The 17-month equity bear market which ran from October 2007 – March 2009 resulted in a near 50% drawdown in the S&P, finally basing at an ominous 666 on March 6, 2009. The return over the ensuing 7.45 years to the present S&P level of 2178 is a 17.25% compounded annual return. Nobody knows where we go from here. The thumb on the scale from central banks makes traditional metrics all but useless in charting the future course. 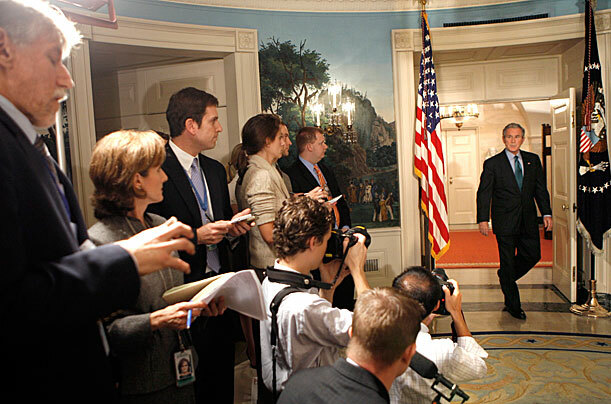 The financial outcome will likely come to be inextricably intertwined with geopolitical outcomes. NIRP has been a certified global failure. The banks are in triage. Only the Canadian and Australian banks trade > 1.0 book. Both Bank of America and Citi trade < .6x book and they are expensive compared to the European banks which are further behind in their capital raising efforts (DB price to book 0.26x). 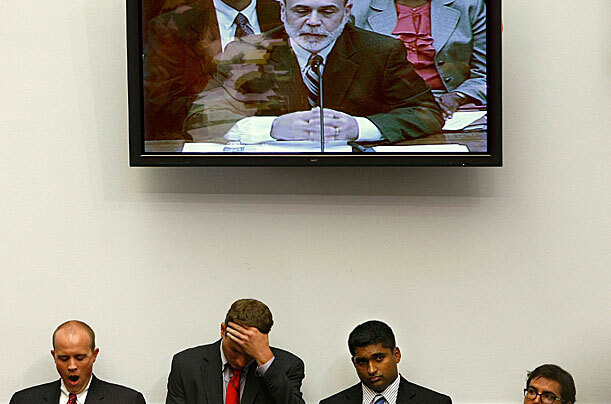 Global insurers are in the waiting room and feeling ill. A concerted move by the Fed, the ECB and the MoF to 1% would do a lot more to cure the ills of the global markets than to use the little remaining runway they have on the false hope of fighting the ogre of deflation in their theoretically walled nation(s). Trading based on global interest rate differentials is poppycock as the hedging methodology for global fixed income is 100% clear. FX is ALWAYS hedged in foreign fixed income as the the vol of the fx moves dominate the vol of the underlying bond returns. Those thinking UST are a buy because Bunds or JGB’s are yielding negative need to give their head a shake and look at the empirical evidence.